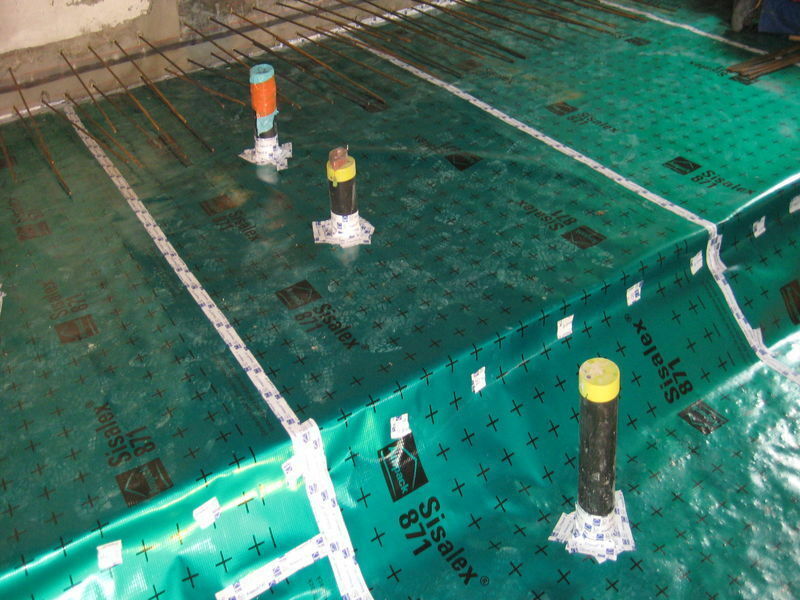 We supply architectural membranes that form an impermeable barrier to radon gas, suitable for installation in new constructions, and during reformation work. We offer services tailores to the needs of our clients, including (as required) design shielding design, materials supply, installation, also we provide a radon testing service (ISO/IEC 17025 certified) to measure radon levels in the building after installation of the radon barriers. The radon membrane Sisalex 871 is composed of 2 layers of polyethylene, reinforced with a polyester fibre matrix, and incorporating an aluminium layer (0.02mm). 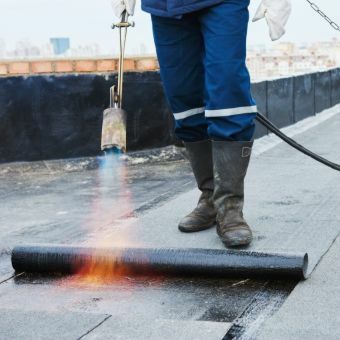 The material can be used in new constructions and renovation work, and can be installed on all horizontal and vertical constructed surfaces, thus isolating the building from radon exhaled from the subsoil. 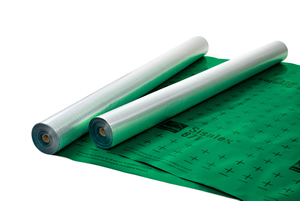 Due to it's impermeability, Sisalex 871 can be used to reinforce or even replace vapor or conventional gas barriers. Effective barrier against the ingress of radón, methane, carbon dioxide, and other toxic gases. 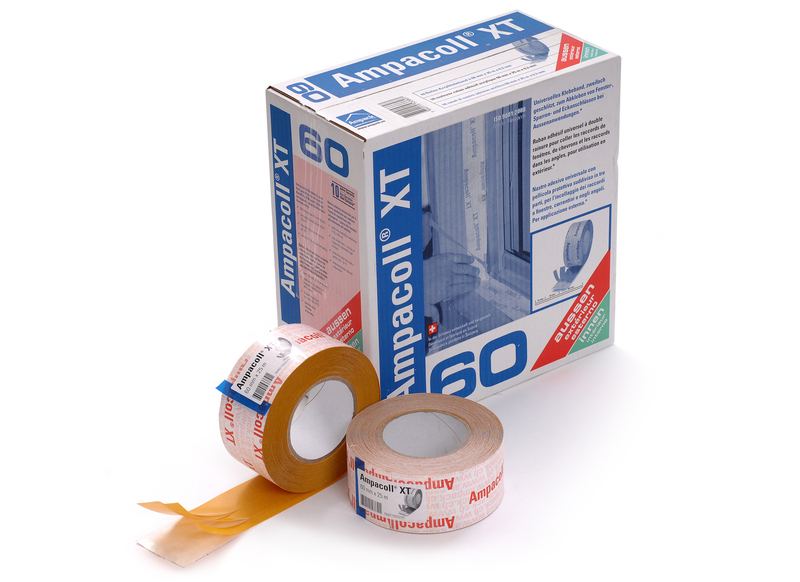 Ampacoll® XT60 is a tear-resistant acrylic adhesive tape, used for final sealing of the overlaps (minimum 15cm) between adjacent laid sections of the Sisalex 871 radon membrane. 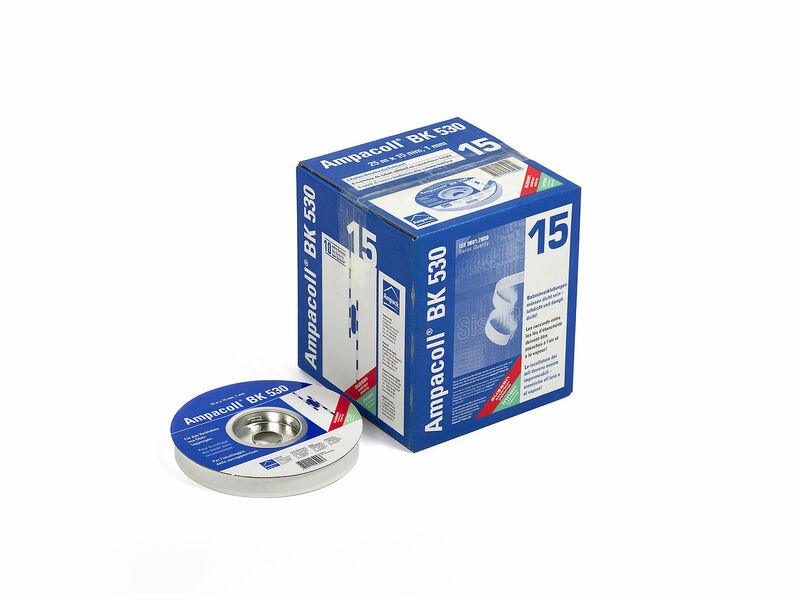 Roll dimensions 25 m x 60 mm. 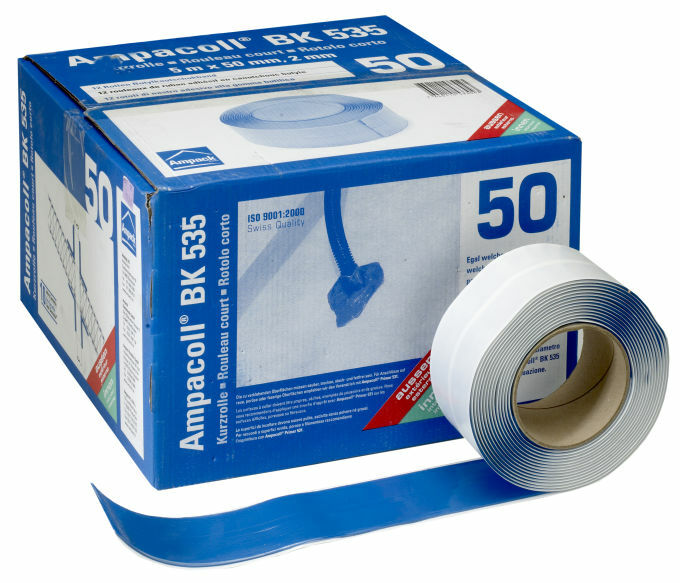 Ampacoll® BK530 is a double-sides butyl rubber strip, used to hermetically seal overlaps of adjacent laid sections of the Sisalex 871 membrane. Roll dimensions 25 meters x 15 mm x 2 mm. Ampacoll® BK535 is a hand-moldable butyl rubber sleeve material, adhesive on one side, that can be elastically formed in 3 dimensions, used to hermetically seal joins between the Sisalex 871 radon barrier, and perforating elements such as pipes, tubes, conduits, etc. Roll dimensions 5 meters x 50 mm x 2 mm. 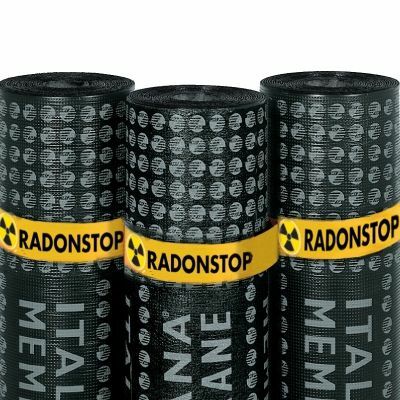 RADONSTOP anti-radon material is a torch-applied, modified bitumen membrane, reinforced with glassfibre, and containing a 0.02mm aluminium foil layer. Total thickness is 4mm. 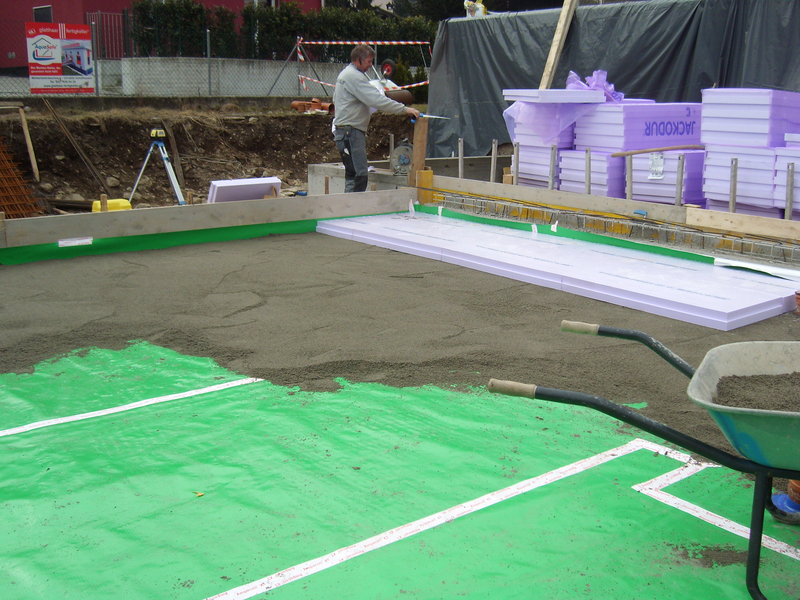 The membrane is applied to horizontal or vertical surfaces, in new constructions and renovation work, in thus isolating the building from radon exhaled from the subsoil.